If you read my lifestyle blog, then you know I've struggled for years to make breakfast a part of my daily routine. Part of it is that all I want is coffee; the other part is that I'm not usually up for fixing a breakfast while still waking up. 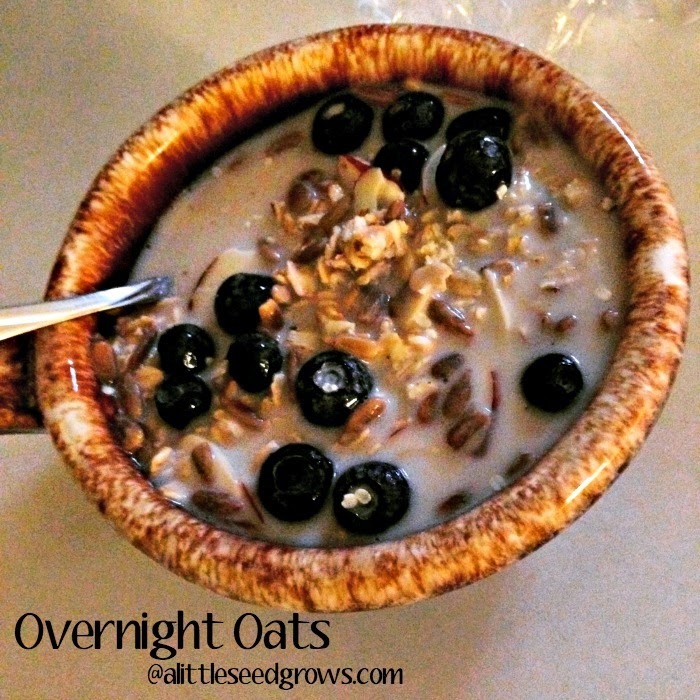 Enter overnight oats. They have been a real lifesaver lately. We've been enjoying these two recipes lately, though David really likes to combine the two. Combine ingredients in a bowl. Cover and refrigerate overnight. If you like a little less liquid, reduce milk to 1/2 cup. We use sweetened almond milk. David likes to add a little hemp hearts and flax seed to either recipe. Want some more overnight oats inspiration? Check out these pins.